From the beloved host and producer of PBS series Joanne Weir’s Cooking Confidence and Joanne Weir Gets Fresh. 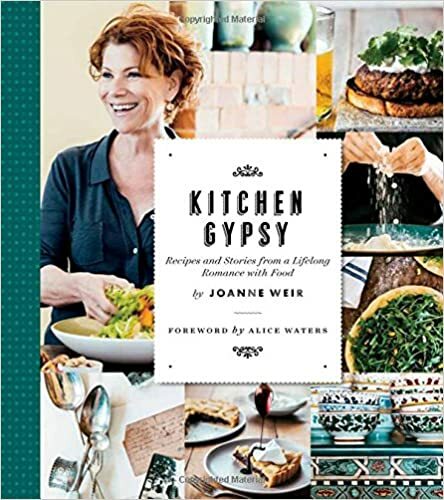 Chef, cooking instructor, and PBS television host Joanne Weir has inspired legions of home cooks with her signature California-Mediterranean cuisine and warm, engaging style. In Kitchen Gypsy, the James Beard Award-winning author offers a taste of the people, places, and flavors that have inspired her throughout the years. With refreshing honesty and humor, Joanne shares the spark that led to her love of cooking, how she learned to taste and develop a palate, the meal that would forever change her life, her years working with Alice Waters at Chez Panisse during the beginning of the farm-to-table movement, and her continued travels teaching cooking classes the world over.